No Fault Sport Floor is an ideal choice for sports surfacing or flooring in your fitness/recreational facility and is available for multiple applications. It can adjust to meet specific conditions. Resilient, durable and easy to maintain, it's available in a variety of colors and is simple to install, helping you achieve the custom look you desire. It comes in 4-foot-wide rolls and custom-cut lengths or in interlocking 2-by-2-foot Zig Zag Tiles. Junckers Hardwood has developed numerous exclusive sports flooring solutions. The Serra School required a low-profile, sprung floor system. Junckers was able to provide their Clip DIN System, which offers excellent sprung performance with a total floor thickness of only 1 inch. Junckers also produces portable floor systems, and traditional sleeper-based systems. Junckers is FSC Certified, and currently in stock on both coasts. From seamless floors to interlocking tiles, Surface America offers the ultimate multipurpose gymnasium floor. 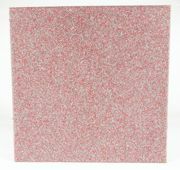 Excellent Shore-A hardness for ideal bounce creates the perfect surface for basketball, volleyball, tennis, jogging and other indoor sports. For gymnasiums, Surface America offers the ElastoFloorTM line of seamless urethane floors and the AmeriTILETM Indoor Sport interlocking tiles. SnapSports Inc. is a manufacturer of interlocking modular suspended sports flooring, available in an extensive selection of colors and endurance levels, perfect for residential, commercial or retrofit applications. SnapSports® Multi-Courts & Surfaces feature multi-patent Bounceback® Shocktower® shock absorption technology, which incorporates an exclusive absorbent substructure, designed to ease joint impact, with player safety and performance in mind. Dry-TexTM System saves time and money during installation on high moisture slabs by resisting up to 15 pounds of moisture or 92 percent relative humidity (RH). The system is a non-woven material integrated into the dual-density backing of Taraflex sports flooring and provides more cost-efficient moisture protection than competing slip sheet or third-party solutions. Paired with Gerflor's Gerpur adhesive, Dry-Tex helps architects, contractors and installers deliver projects on time with proven results. The ultra-resilient Achieve flooring system withstands rigorous use, 24/7 traffic and relentless impact. Ideal for multiple applications—including recreation centers, cardio areas and weight rooms—Achieve is designed using a solid mold to resist deflection and sagging. Simple to install and maintain, Achieve 24-by-24-inch tiles are 1 inch thick, have up to 90 percent recycled content, feature a Ľ-inch EPDM wear layer and a ľ-inch recycled SBR absorption layer, and come in custom color combinations with logos. AirRide® is a vinyl rollout gymnasium floor cover system that uses a patented air blower to drive a cushion of air that simplifies installation and removal. AirRide's lift effect greatly reduces potential for scuffing and scratching of the floor's surface during either process. Deploying and removing the cover is quickly and simply managed by two people. The AirRide cover vinyl is phthalate-free and is available as a 10-foot-wide, 20.5-ounce weight seamless sheet to protect floors against damage. Infinity Max can withstand heavy weights being dropped directly on the weight room floor without denting, tearing or splitting. At 1.25 inches thick, it is durable and backed by an exclusive 10-year warranty. The patented KrosLOCK connection system creates much smaller, less noticeable seams. The TPV rubber surface makes it much easier to clean and maintain. Infinity Max is available in more than 10 standard colors and an unlimited number of custom color options. Custom logos are also available. Infinity Max can contribute toward earning up to 8 LEED points.